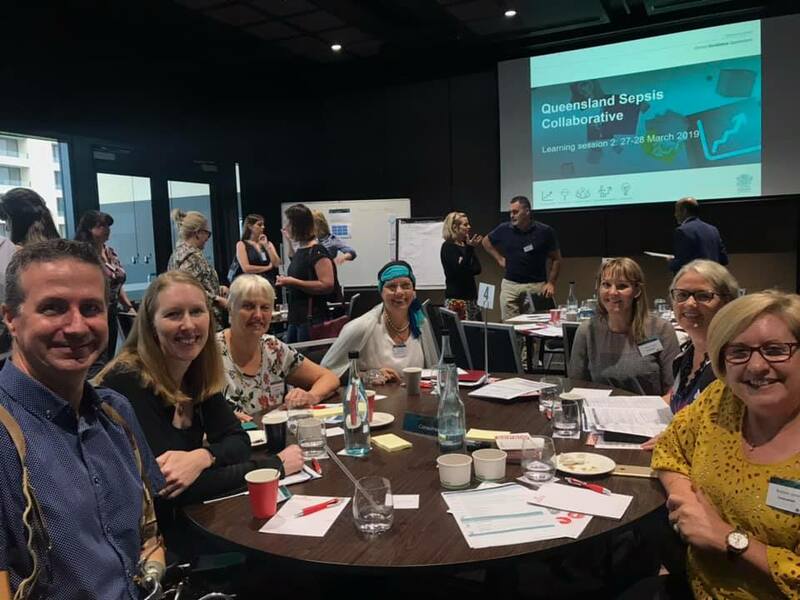 PICTURED ABOVE: Members of the Statewide Sepsis Collaborative and project teams at the Collaborative's second learning session. The collaborative uses improvement science and group learning to develop and test ways to reliably deliver effective care to sepsis patients, with the overall aim of improving patient outcomes, reducing mortality and length of stay. Michael Rice, Director of the Statewide Sepsis Collaborative and Director in CEQ's Patient Safety and Quality Improvement Service, said effective action against sepsis required a shift in thinking for clinicians and the community. "The main barrier to initiating effective treatment for sepsis is the low levels of awareness of sepsis and its symptoms. People don't know when to seek treatment but even when they do, it's not always at the forefront of the clinician's mind. That's what we are trying to change." Hospital and Health Services outlined their local efforts to raise awareness of sepsis, including mobile skill stations, in-service sessions, and incorporating sepsis into orientation programs, but the issue of clinician engagement remained challenging for most sites. Clinical Lead for the adult sepsis program, Professor Bala Venkatesh, described sepsis as a 'diffuse entity' that was hard to identify. "Patients with myocardial infarction have a clear treatment path and a dedicated specialty that is responsible for their care – sepsis is not as defined." Paediatric Clinical Lead Associate Professor Luregn Schlapbach said paediatric sepsis patients had three main commonalities: repeat presentations, parental concern, and rapid deterioration. "We need to really pinpoint that transition from a common childhood illness to sepsis, and that starts with asking the question: could this be sepsis?" 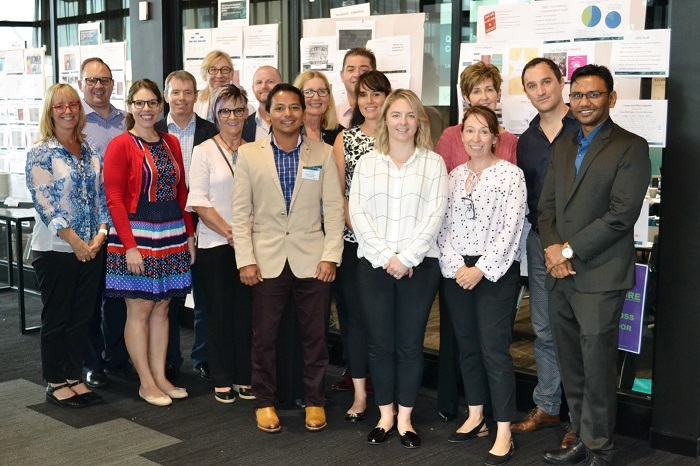 A key component of the collaborative involves the testing of adult and paediatric clinical pathways, which continue to be piloted across the state. Clinical Nurse Consultant from Children's Health Queensland Amanda Harley said the pathway was a cognitive aid. "The emphasis is on asking the question: could this be sepsis? and using risk stratification to de-escalate. The pathway complements your clinical skills and experience, it doesn't replace them." To find out more about our sepsis program and to download resources for your clinical area, visit our sepsis webpage. You can also find out more about our safety and quality agenda here. Consumers play a valued and integral role in the Queensland Sepsis Program. PICTURED ABOVE: (L-R): Matthew Ames, Amy Wilkinson, Marg Wilkinson, Mary, Renee, Marissa Ryan and Bobbie Jones. Photo published with permission from the Maddy Jones Foundation.